Pick a stick and perch! 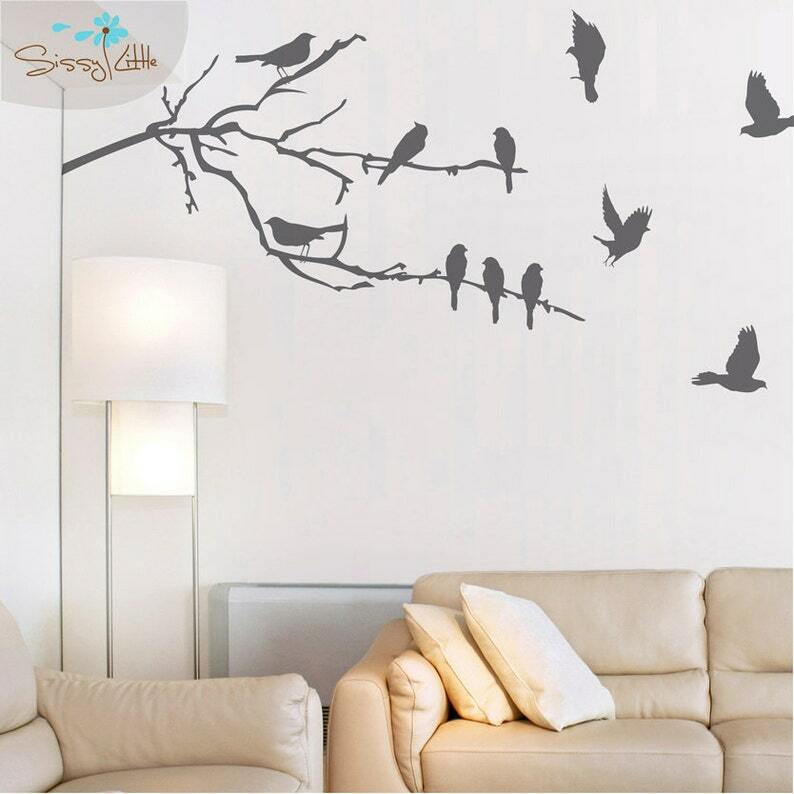 These 2 branches and 13 birds wall decals will bring an airy feeling to any rooms decor. Watch these silhouettes take flight to your walls and bring freedom and space to your home. Branches - Approximately 13in. x 36in. Birds - Vary Between 2in. x 5in. and 6in. x 4in. Branches & Birds is shown in Middle Grey (074) and is facing right.